We’ve all seen hipsters in the wild, and even if we can’t perfectly define what a hipster is, we know one when we see one. 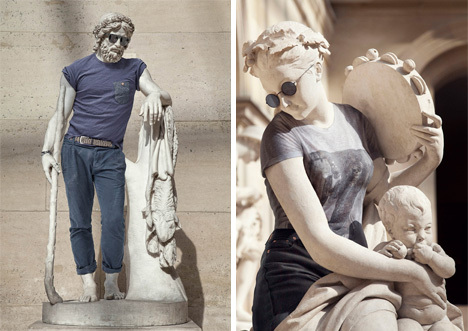 Parisian artist Léo Caillard does too, and he wondered what this modern trend would look like if it were transported back in time…back to when ancient Greeks paid homage to the perfect human form by immortalizing it in stone. Caillard got the idea while walking through the Louvre and looking at the masterful statues. 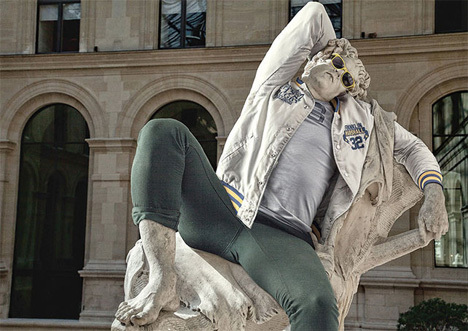 He wondered what a juxtaposition of modern fashion and ancient art would look like together. And because a question like that simply can’t go unanswered, he set out to make that unlikely combination happen.